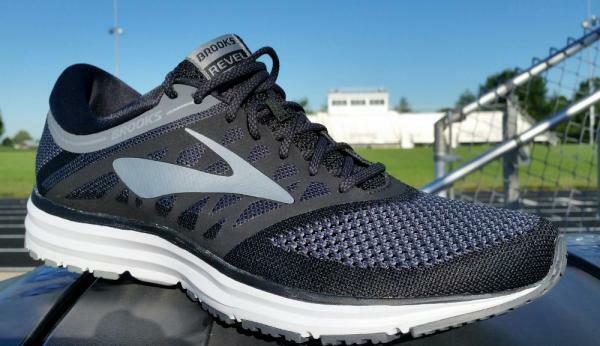 Some users commented that the Brooks Revel’s cushioning was soft and bouncy. A lot of users appreciated the minimalist design and agreeable feel of the shoe. One user said that even though he has flat feet, he did not feel any pain when using this shoe. Another tester appreciated the extra padding that she felt in the heel area. A few runners said that the toe box had enough room for toe-splay. The shoe felt lightweight, based on a couple of reviews. Many users said that they were satisfied when they used the shoe for longer runs. The majority of reviews were glad to mention the shoe fitting true to size. One tester was disappointed to see that some parts of the shoe showed wear after only using it a few times. 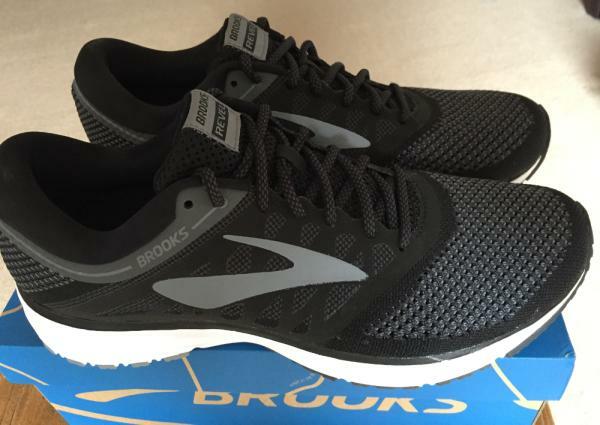 Another tester said that the back of the shoe felt tighter than other Brooks shoe models. Some runners did not recommend the shoe for speed training. One user, in particular, said that it lacked the forward propelling sensation he needed. One user narrated that he saw an exposed bent wire on the left heel of the shoe only after two weeks of usage. A tester said that the arch of the shoe did not feel like it was in the right place. The Brooks Revel is a neutral running road shoe that blends performance and style seamlessly. It is ideal for light workouts, short hikes, and everyday use. On top of that, those interested in a pair will be able to sport the shoe as a lifestyle sneaker because of its modern and subdued design. Is The Brooks Revel a Running Revelation? 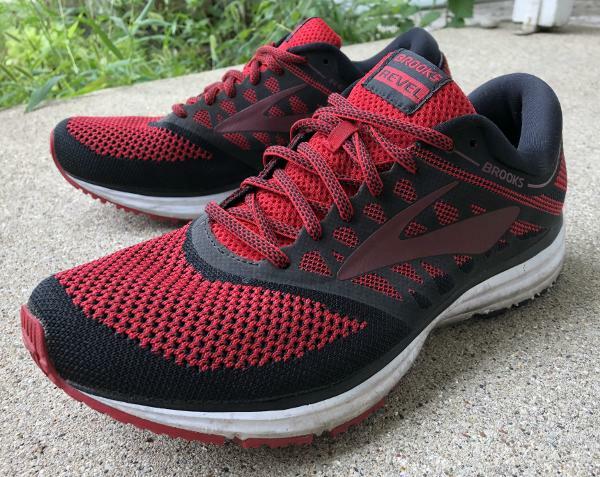 According to one source, the Brooks Revel is “A cushioned trainer that is ready for anything from short recovery runs to long distance efforts.” (Running Warehouse) Is it ready for anything? The Revel weighs 10.5 ounces, but it feels lighter on one’s feet. It feels like 9.4 ounces. The Revel’s heel drop is an unexpected 11mm, but it does not feel like it. It feels like a 6 to 8 mm drop. After initial runs in the shoe, I would have confidently said 6mm. The Revel has a flat knit upper which is styled in the latest urban-suburban “work and play” look trend. It’s a style that draws comments and compliments if you like that sort of thing. The Revel offers a near-perfect fit. There’s room up front for one’s toes to comfortably splay, and yet the fit is nicely snug around the heel. The best part of the fit is midfoot where Brooks uses a Midfoot Stretch Saddle for “a personalized and secure midfoot fit.” It is most definitely secure. The Revel is based on a BioMoGo DNA biodegradable midsole that is intended to be responsive. And, surprisingly, the entire sole is made of high abrasion-resistant rubber. One can feel a nice amount of punch in the Revel on concrete, and that responsiveness becomes downright bouncy on asphalt. There’s quite decent forefoot flexibility due to four pronounced flex grooves, and the Revel has enough stability to meet the needs of mild to moderate pronators. While the shoe facilitates the midfoot striking runner, the heel drop is large enough for heel strikers. What’s a bit of a shock about the Revel’s forefoot is that there’s hard rubber up there; in fact, it feels firmer than the rubber in the rear of the sole that provides for a soft heel landing. But the ride is smooth, quite smooth. In the Revel, one is not restricted to either running close to the ground or to lifting the feet high up. The Revel is happy to facilitate either running style. Some running shoes lock you into a certain style, which is a problem when it does not coincide with your natural style. This is not an issue with the Revel, it will adapt to your needs. The Revel delivers all the cushioning one could ask for in a trainer. The Revel is loaded with bounce-back, but not so much so that it produces wasted energy. The Revel will allow a runner to build up momentum at faster tempos – and it’s a very good shoe to use for tempo runs, but it is not a naturally fast shoe due to its weight and relative lack of firmness. I was initially shocked to discover that the Revel (like the Brooks Launch) sells for $100. It looks and feels underfoot like a shoe costing $120 to $125. Because both the Launch share a bargain price point, for $200 a runner can build a two-shoe rotation. The Revel can be used on standard training days, and the Launch – which is lighter and more neutral, can be used on short race days or for fast tempo sessions. Both models are quite durable for trainers. The runner who needs a mild stability racing shoe and/or speed trainer can add the Asteria from Brooks, while the runner needing a protective recovery day and long run shoe can add the excellent Glycerin 15. As I put in miles in the Revel trainer, it struck me that by the time the Revel 3 is released, Brooks might want to consider releasing a cousin of the shoe. How about the Revel Racer? A racing flat version of the Revel would be lighter, might contain a midfoot shank in the sole for some stability, would be firmer in the midfoot/forefoot for quicker step-offs and would – best of all – be loaded with glorious blown rubber in the forefoot. OK, Brooks at least think about it. Yes, the Brooks Revel is a shoe that’s ready for just about anything. This is a high-quality daily trainer that will make a fine shoe for races from 3.1 to 26.2 miles. It offers some stability but not enough to negatively affect neutral runners. Best of all, the price point is exemplary for an excellent product. With the Revel on your feet, you can revel in your abandon. Founded by Morris Goldenburg in 1914, Brooks Sports, Inc. is a manufacturer of running shoes and apparel, now based in the city of Seattle, the State of Washington, U.S.A.
Brooks, a neutral road shoe with very good cushioning and new upper material. The Revel is suited for a wide variety of runs from a neighborhood jog around the block to the marathon. Typical Brooks quality in both materials and workmanship. The new knit upper mesh forms to your foot shape, laces are stretch oval-shaped and stay tied. You have to look hard to see any stitches on this model. The foam cushioning is the tried and proven BioMoGo with some DNA in strategic areas. Here are 2 interesting links that explain BioMoGo and DNA. Quiet, almost as quiet running as the Brooks Ghost 9. Outer sole is nearly full contact for a stable feel and good traction. These shoes are a little bit more flexible than the Ghost, and more flexible than most other shoes I have owned. Attention to detail can be seen with the added post under the arch. Weight 12.4 oz. / 352 gr. Ankle clearance – Do your ankles rub the collar? This will be worse on the uneven road! Toe box height and clearance - Check with your winter socks on, black toenails are bad. Bunion clearance and painful hot spots - Think about selecting a supplier that allows you to run for a few days or more to check new shoes for discomforts you would never detect by simply trying them on. The line of stitching that attaches the tongue, on the underside inside of the shoe. Think about having a gait analysis or having a knowledgeable person look at your shoes to determine if you should be looking at neutral, support or motion control category shoes. The Revel is sans reflectors. Reflectors don't seem to matter as much as they did ten years ago because today nobody is looking, even when driving. Did you know that being struck by a vehicle traveling at 40 km/hr is equivalent to a fall from a 2 story building? Never expect a driver to do the expected! In 2007 an employee of the Brooks company was struck by a car while out running, she later died of her injuries. To this day Brooks has her initials "LD" on the Defyance model. It's hard to be compared to the Brooks Ghost, a real champion in its 10th year. The Revel is a great Challenger, a worthy contender, but the Ghost is still the champ. Both shoes are excellent, doing what they were designed to do very well. The Revel is lighter, the Ghost more cushioned. Both shoes have DNA as BioMoGo; Revel is about $ 20 less. Taking the risk of making an automotive analogy I would say that the Revel is the same BMW sedan but without the chrome of the Ghost. Which shoes to bring to the starting line in September? I don't know for sure because they are both super shoes, but I am not quite ready to give up on the Ghost! My thanks to the Brooks Sports Co., Seattle, Washington, U.S.A. for supplying these shoes to me at no cost. I really looked forward to receiving RunRepeat) and spending some time with them. The marketing talk of "lifestyle shoes" got my attention. To me, that suggested a pair of trainers that I could wear for pretty much anything, including walking, exercising, socializing, and of course running. I was intrigued at how Brooks would pull it off since the challenge required a pair of shoes which possessed all the necessary technology and attributes of decent running shoes while managing not to look "too" much like one. We all know of someone who turns up to social occasions (usually also in a Boston Marathon running jacket) wearing a pair of trainers in bright colors laden with some newfangled technology which just scream "runner." Nothing wrong with the look of course; I've been guilty of the same myself and there is nothing more comfortable than a pair of well-cushioned runners, but sometimes occasions call for a more subtle look and, all going well, the Revel could well be what I'd wear to the next birthday gathering...after having gone for a run in them earlier in the day, of course. Out of the box, things looked promising. The Revel came in a nicely understated combination of Black/Anthracite/Primer Grey and other than the words "Brooks," "Revel," and the logo, the shoe was refreshingly uncluttered. What really stands out though, is the upper, which is composed of flat-knit mesh. Knitted uppers are of course used by other brands too these days but that on the Revel is distinguished by a thicker knit, thicker than that on your average Christmas sweater. Closer to the midsole, the knit becomes much tighter, which is a nice touch both aesthetically and probably functionally. On closer inspection, one can see that the gusseted tongue is actually a part of the inner "bootie" which sheathes the forefoot. This presumably is to act as a barrier against any dirt or debris making its way through the knit and serves a dual purpose of ensuring a close, comfortable fit, even when sock-less. If the knitted mesh is the best part of the upper, the seemingly overly padded heel cup is my one and only criticism. The generous padding adds to the bulk and perception of Revel as a heavy shoe, although at 10.3 ounces it is actually lighter than the Ghost, a cushioned dedicated running shoe. Still, even after having tested the shoes extensively over the past few weeks, the aesthetics or functionality of the excessive padding in the heels is lost on me. Looking at the midsole, the absence of the "caterpillar" that is typical of many of Brooks' line helps one forget that you're looking at what is, in essence, a running shoe. The midsole is composed of "BioMoGo DNA," a proprietary material providing adaptive cushioning which Brooks also uses on many of their cushioned shoes, including Ghost. The heel-toe drop is rated at 12mm, which to me seems a tad high for a neutral shoe. The outsole consists of the generous volume of blown rubber on the forefoot and heel areas, with grooves cut out in the forefoot to enhance flexibility. My first outing in the Revel was for a 10-mile trot around the neighborhood, consisting of tarmac, concrete, and some packed dirt trail. The ride was smooth and cushioned yet responsive, and the shoes very comfortable. I felt I could easily have done at least another 10 miles – not bad for a pair fresh out of the box and a testament to their comfort. Although most of my road running shoes tend towards 4-8mm drop, despite being rated at 12mm, the stride was unobtrusive with the transitions smooth. My next outing on them was to our local parkrun, a free weekly 5km community run which takes place across 17 countries. I tend to use these parkruns as a speed session, where I'll use the first mile to warm up, and gradually ramp up pace towards a sprint finish. At full speed, the Revel felt OK save some minor heel slippage but I do own racing flats which are better suited for sprinting shorter distances and the Revel won't be replacing those anytime soon. As running shoes, I felt the Revel is better suited for slower paces and/or longer distances but, to be fair, that is to be expected given the shoe's specs. The point here is that, as running shoes, the Revel is more than adequate, something which shouldn't necessarily be taken for granted given the extra emphasis on style. Speaking of style, actually, my second outing in the Revel was later in the day after my 10-miler when I went to meet my wife at the cinema. "A new pair?" Asked the wife with raised eyebrows as she has done countless times before. "Yeah..." Said I sheepishly. "They look nice" was the follow-up comment from her. And there you go, no better seal of approval than that as far as their style and versatility are concerned. The Revel is good running shoes but even better lifestyle shoes. I've worn the Revel pretty much every day for the past 3 weeks since receiving them. I've clocked about 35 miles running in them and must have covered at least that distance walking in them. Why so much walking? Well, they are darned comfortable AND they look good. In fact, the Revel would be ideal travel shoes, where you'd only need the one pair for sightseeing and the occasional run. In that regard, they can be seen as a more robust equivalent of the On Cloud. Looked at purely as running shoes, the Revel is no worse than, but at the same time not obviously superior to, other dedicated running shoes that I have at my avail. But if I'm going out on errands about town or meeting some friends for a drink, then I wouldn't hesitate to throw these on with my shorts or jeans. Plus, if you're running late like I often am, you can easily jog over! I also appreciate that, unlike me, the majority of folks will not own more than one or two pairs of trainers, in which case the Revel would be well-suited as an all-rounder. At US$100 MSRP, the Revel presents a great value, and you do get a lot of running shoe for the price, and with the good looks, to boot. Brooks may have created a new category here, or at the very least come up with a hit product. I reckon all the cool kids with their caps worn backward will be sporting these in their local skateparks soon, as well as those parents being dragged around Disney World. The Brooks Revel is an interesting entry in the line for Brooks. It’s the first of its kind for the company, in that it has a knit upper. On top of that, it is a very cool looking shoe, often a rarity for performance runners. After getting the proper fit, it was time to roll. Upon wearing the shoe out the door, there was a surprising amount of stiffness to the midsole unit. On a cooler morning or evening run, there wasn’t a whole lot of energy return. On the flip side, on a late afternoon summer run, the Revel felt much softer and bouncier. Even then, the responsiveness of this shoe is lacking overall. The only issue that was consistent was the lack of forward propulsion that I’ve experienced in previous Brooks models. I had to remind myself that this was part of their Cushion subset, rather than their Energize line. I had an unfair expectation for the Revel, in that I thought it would be a faster shoe. Granted, a shoe can only be as fast as the wearer, but looks were slightly deceiving. That being said, it has performed amicably on shorter recovery runs. The cushioning is ample enough in the forefoot, but not quite enough for longer runs. This is one of the shoes that I seem to feel like I know my distance limit on, but that’s not a bad thing. Traction on the pavement was good. The rubber is thin, much in the way that the Launch is. There are no major wear issues to speak of, though there is a midfoot lug that protrudes out of the DNA foam midsole that could use rubber. Considering that I’m a mid foot striker, I may be more in the 20% demographic, rather than 80%. Less rubber equals less weight. As was mentioned before, the Revel utilizes a knit construction for the upper, varying the tensile strength based on support needs. Overall, this makes for a very comfortable and seamless upper. The nice and thick collar coupled with the fused midfoot saddle secure the foot in place. Any concerns with the forefoot being sloppy in any way were allayed once the first few miles were out of the way. The traditional padded mesh tongue was comforting, knowing that my instep would be able to breathe, as well as remain protected from lace pressure. The breathability is fantastic in the heat and humidity, particularly in the toe-box. There aren’t any hot-spots that I’ve noticed, either. In all honesty, the upper feels as good as anything I’ve worn. The supportive and lightweight nature of the shoes upper almost amplifies what’s lacking underneath the footbed. Regarding the footbed itself, it feels great once you lace up the shoe. As a whole, I believe the Brooks Revel has a place in the Brooks catalog. Right after the Anthem, it’s as close as it gets to the brand has to offer an entry-level trainer. As prices go up in the industry, $100 price-points become more attractive, especially for newer runners who are seeking something to help them log in their ten miles per week. The bells and whistles are few and far between, but the hero on the Revel is definitely its upper. I’m looking forward to these being my everyday casual shoes, because of how well they’re designed aesthetically. It’s also a testament to the brand’s high standards. Because even though it’s my least favorite Brooks shoe that I’ve run in, but there was nothing that made me want to return them back to the store. I know it’s not commonplace, but I would love to see this upper on the Neuro 3 or Pureflow tooling. It’s not a bad debut for the Revel, but there’s a bit of room for improvement. The Brooks Revel’s design mirrors the sleekness of the running shoes and lifestyle sneakers of today. With its engineered flat knit upper, the silhouette of the shoe looks smooth and seamless. The two-tone design of the material makes it possible for wearers to sport the Revel as a shoe for every occasion, and not just a shoe for running. Comfort was not neglected when this shoe was designed. It features an internal bootie that provides a more secure yet adaptable fit. The profile sock liner made with a special BioMoGo foam unit creates an enhanced in-shoe feel, while the plush collar extends the lush feel of the shoe to the runner’s ankle. The Revel comes in standard shoe sizes. Runners will be able to purchase a pair in their usual size measurements. It is similar to the shoe’s width – it comes in standard width measurements, B - Medium and D – Medium for women and men, respectively. The Brooks Revel has an HPR Plus outsole which is also the same outsole used in its latest version, the Brooks Revel 2. This rubber material was developed to be highly resistant to abrasion, thereby protecting the underfoot area of the shoe optimally. Aside from durability, this rubber material also improves the traction of the shoe, improving its grip on various surfaces. The midsole is composed of Brook’s BioMoGo DNA. The Brooks DNA commonly uses a gel material for cushioning, but in the case of the BioMoGo DNA technology, the is DNA fused with the BioMoGo biodegradable midsole compound to deliver an adaptive cushioning all throughout the platform of the shoe. This midsole technology is also seen in one of Brooks' popular road running shoe, the Levitate 2. An engineered flat knit upper is used on the Brooks Revel. This type of knit material is very breathable, allowing air to pass through as it keeps the foot cool at all times during runs. The knit upper also has a stretchable characteristic that moves in all directions, providing a customized fit no matter the foot dimensions. Runners will be able to reap the benefits of a sock-like fit because of an internal bootie construction. This bootie wraps the foot snugly, providing a good amount of security, as well as a comfortable in-shoe feel without being too constrictive. A profile sock liner is placed to add a layer of cushioning. Made using BioMoGo foam, it essentially heightens the already comfortable in-shoe feel of the Revel, focusing more on the lightweight support and complimentary underfoot comfort. On the mid-foot is a stretch saddle that helps retain the shape of the shoe. This add-on blends well with the seamlessness of the upper, and it is connected to the shoe’s lacing system. Tightening the laces also tightens the saddle, thus providing a more secure fit on the mid-foot. To extend the comfort to the runner’s ankles, the collar was made plush. This additional padding adds minimal protection to the ankles, and it also tops off the comfort the shoe aims to provide.